Xiaomi is a company that has been coming with an economical array of smartphones since the beginning. But when it comes to smartphones, some of them might be a bit flawed or come with some technical issues that might need some understanding. Worry not! As Xiaomi Service Centre UK is here to wipe away all your worries and to suggest some easy fixes to all the issues that you might be facing with your phone! Our technicians at Xiaomi Service Centre UK will work their way around these problems and you’re good to go! Xiaomi’s many powerful and much-awaited smartphones, the Xiaomi Mi Mix 2, Xiaomi Redmi 5, Xiaomi Redmi Note 4X Pro and Xiaomi Mi A1 hit the shelves recently. They have been having a neck-to-neck competition right now with all the other high-end smartphones in the market. Delivering powerful performance and coming with exclusive features like water and dust resistance and advanced security, these smartphones have been met by applause by the users! 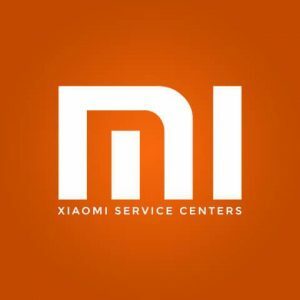 Why Choose Xiaomi Service Centre UK? With the latest software updates, your Xiaomi Mi Mix 2 or Xiaomi Redmi 5 might be performing poorly and showing a minimal battery life. Our technicians at Xiaomi Service Centre UK will ease your worries quickly. We will replace your battery with an original and durable battery for a perfect battery life. If your Xiaomi Redmi Note 4X Pro or Xiaomi Mi A1 been acting up and has been showing some potential Bluetooth streaming flaws, then Xiaomi Service Centre UK can fix it for you. If you are facing these glitches with Bluetooth connections on your phone, then you might be feeling miserable right now. However, this is a common problem with phones and Bluetooth car system connections were popping noises and interruptions might affect the working of Bluetooth. We can handle all software issues for you! Although, the amazing cameras of Xiaomi Redmi Note 4X Pro and Xiaomi Mi A1 is one of the best features of these phones and can click some amazing shots still you might experience poor low light performance and blurring. Xiaomi Service Centre UK will handle it for you! Just in case you accidentally dropped your phone and damaged it, Xiaomi Service Centre UK will repair it for you within no time. We will change the screen of your phone and make it appear brand new! Therefore, it is fairly evident that even the smartest of all the smartphones can come with a wide range of issues. But you don’t need to worry as Xiaomi Service Centre UK facilitates you with easy fixes and smart solutions! Expert non-warranty Phone services UK wide. …specialised in Phones made by doogee … Almost all of our Y6 Piano Black Screen Repair Newark are processed within 3-5 working days while also offering express repairs. Expert non-warranty Phone services UK wide. …specialised in Phones made by Xiaomi … Almost all of our Mi A2 Lite 64GB 4GB RAM Black Dual SIM – EU Charger Port Repair Liverpool are processed within 3-5 working days while also offering express repairs.